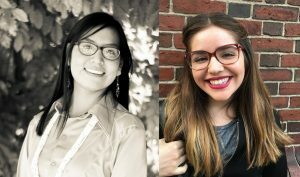 The School for Advanced Research is pleased to announce the 2019–2020 cycle of Native American artist fellows. Each year SAR’s Indian Arts Research Center (IARC) offers three residential fellowships to support the work of mature and emerging Native artists. The program gives artists time to explore new avenues of creativity and invites them to grapple with ideas that advance their work and strengthen their existing talents. While in residence, artists can access the IARC’s collection of 12,000 works of Native art for research and study. 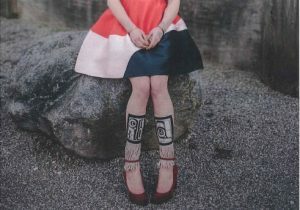 This year’s artists approach work through multimedia, pottery, and design and construction of traditional garments. Ian Kuali’i is a mixed-media artist raised in Maui, Hawaii. Drawing inspiration from his Apache and Native Hawaiian heritage, Kuali’i addresses themes of urban decay through murals, large-scale hand-cut paper works, prints, and earthworks/land art. 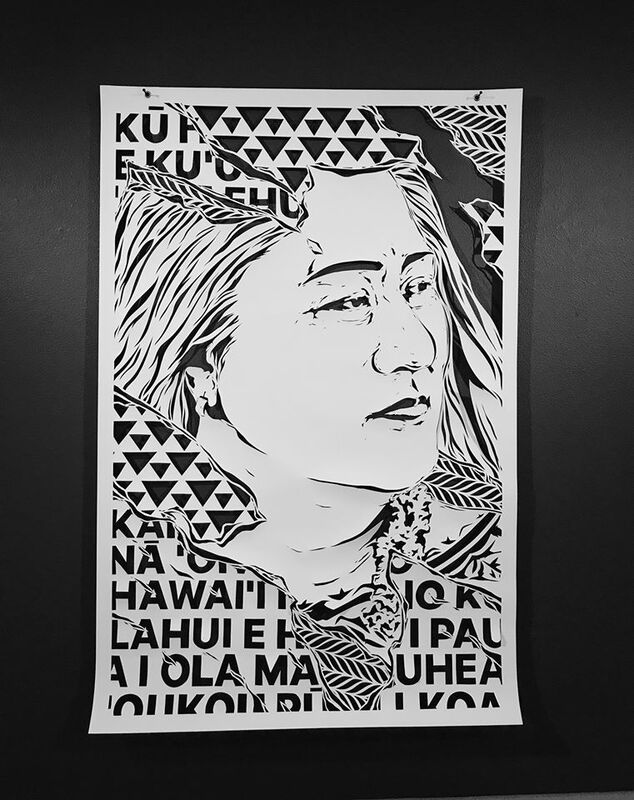 “My hand-cut method,” says Kuali’i, “is a meditative process of ‘destroying to create’ [and explores] ideas of indigeneity, modern progress, biodiversity, and the foundation of one’s own history. As a mid-career artist, my art practice has evolved into a reflection of my personal journey, a dichotomy between urban grit and ancestral spirit, chaotic energy and refined control, ultimately unifying the delicate and rough in symbiotic representation.” While at SAR, Kuali’i will develop a project inspired by the natural and artificial features of the region’s landscape. Kuali’i will be in residence from June 14, 2019, to August 15, 2019. O Ka Mea Ho’ōkahi Iwi (Portrait of Kumu Hinaleimoana Wong-Kalu) by Ian Kuali’i. Photo courtesy of the artist. Timothy Edaakie (Zuni Pueblo) created his first piece of pottery in high school and has continued to refine his practice since. 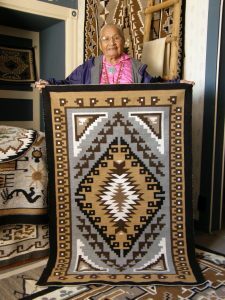 Edaakie is interested in reviving traditional methods and re-creating forms and designs thought to have been lost or forgotten within the pueblo. 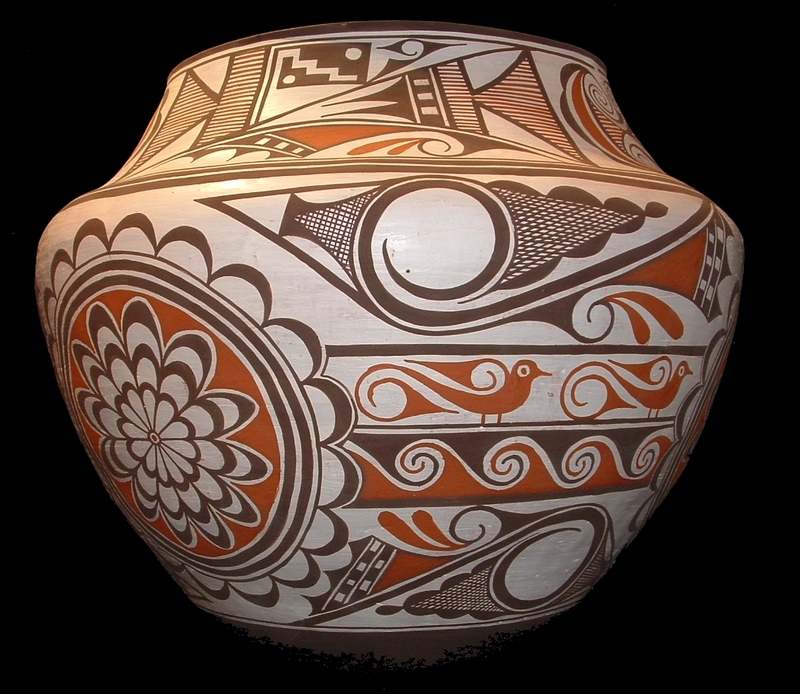 While at SAR, Edaakie will access the IARC’s nearly 375 works of Zuni pottery. Drawing from these pieces, Edaakie hopes to better understand the transition between Matsaki and A:shiwi styles and to use insights from his collections research to fashion an A:shiwi olla form and a Zuni stew bowl. Edaakie says, “I see my art as a way to help ensure that traditional Zuni pottery continues, to educate Native and non-Native communities about the process of pottery making, and to explain the designs and forms.” Through the project, he hopes “to reintroduce elaborate designs used by my ancestors to present-day potters who are unaware of these intricate patterns.” Edaakie will be in residence from September 2, 2019, to December 23, 2019. Pottery by Tim Edaakie. Photo courtesy of the artist. Leah Fragua (Chumash) grew up along the California coastline. After witnessing increasingly erratic weather on the coast, she has begun to ask how her artwork can engage audiences in conversations about climate change. During her time at SAR, Fragua will create a Chumash dance dress that visually represents rising ocean levels and the increasing severity of wildfires. The dress will incorporate traditional materials including bark, elk hide, shell and pine nut beads, abalone pendants, feathers, and natural dyes. Fragua says, “I believe my work can serve as a platform for protecting cultural resources by bringing greater awareness to the environment where I collect my materials. 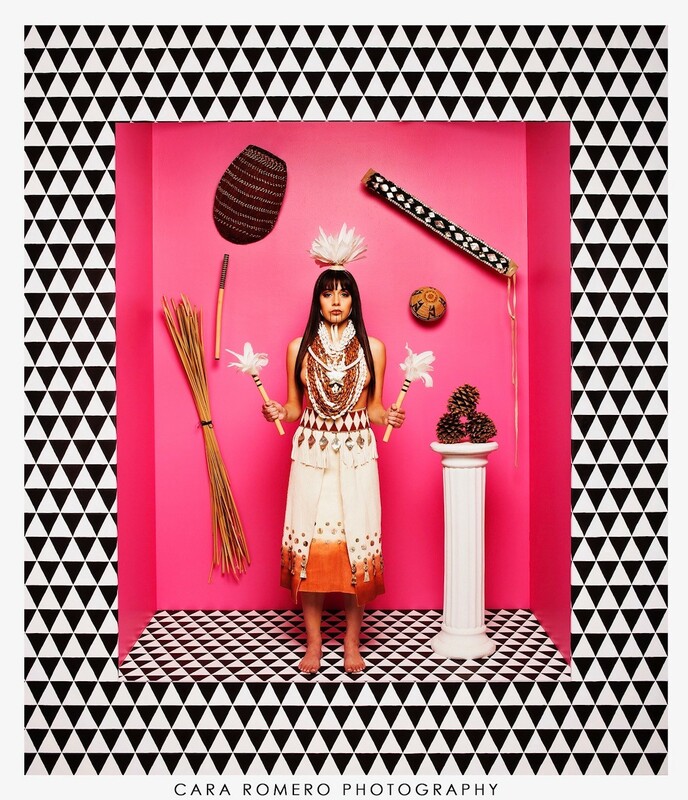 In addition, my work provides a narrative about the importance of tribes exercising our sovereign gathering rights. As stewards of our land, we are responsible for protecting the resources we need to create our beautiful works.” She adds, “I am continually reminded that there may be a time when I am not able to pass down these art forms because our cultural resources have become so limited.” Fragua will be in residence from March 2, 2020, to May 31, 2020. Chumash dance dress, 2017. Collaboration between Leah Mata Fragua and Cara Romero. Photo courtesy of the artists.